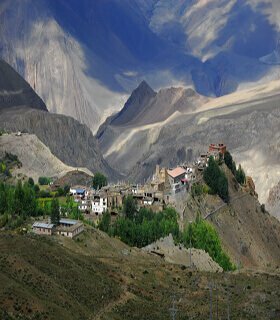 Dolpo Trekking is open for foreign visitors for the purpose of trekking tour in 1989. Dolpo region is located in a remote and isolated corner in the far western part of Nepal. Lower Dolpo is permitted with low permit fee but for upper Dolpo you have to pay $50 per day for trekking permit. Lodges and guest houses are not available and you must arrange all camping accommodation via registered trekking company. 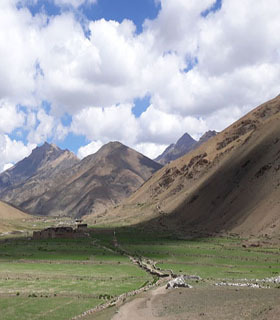 Dolpa is lying under the shadow of Himalaya with astounding natural beauty and cultural heritage. People of Dolpo follow Bon religion and their language is closer to Tibetan. The most beautiful Shey Phoksundo Lake is the main attraction of this region and Num-la and Baga-la pass are another challenging attraction of this trek route. Dolpo Trekking in Nepal Himalayas ! Upper Dolpo has been referred to as the last enclave of pure Tibetan culture with the landscape and Buddhist religion of this region more like Tibet. 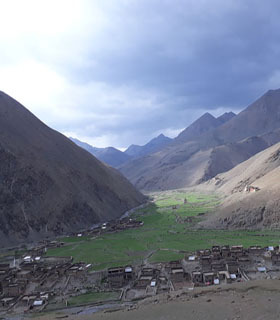 Dolpo Trek has a vast and rugged landscape inhabited by a hardy, enterprising folk who live in some of the highest villages in the world. Trek to Dolpo offers an endless variety of landscapes, Buddhist cultures, and great people. So use gokyo trek company to design your ultimate experience, and receive hand-made trips built by local expert guides . Winter storms sometimes visit the pass through January and February, but changing weather patterns make it difficult to predict. Even monsoon season has very good weather because of the place is located in Trans Himalayan Region of Nepal, so it has very very light rain and dry always and you can trek nicely because you will have a nice Himalayan view with grassy landscapes. Monsoon is over around early September, but still some drops of rain. Trek in this region is possible until middle of October.